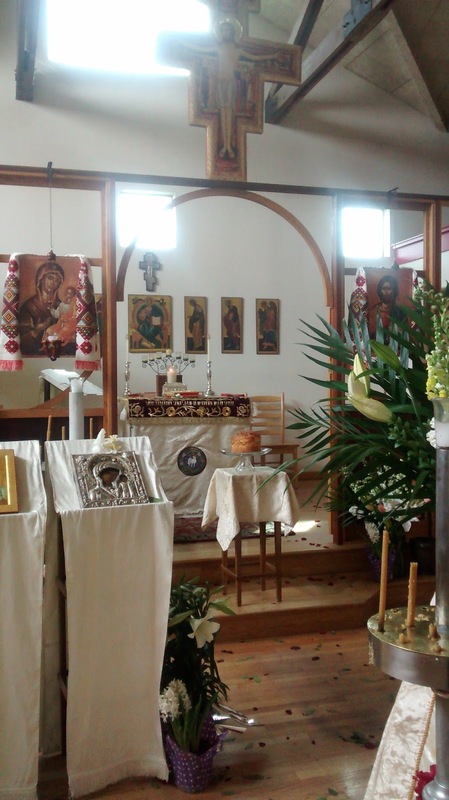 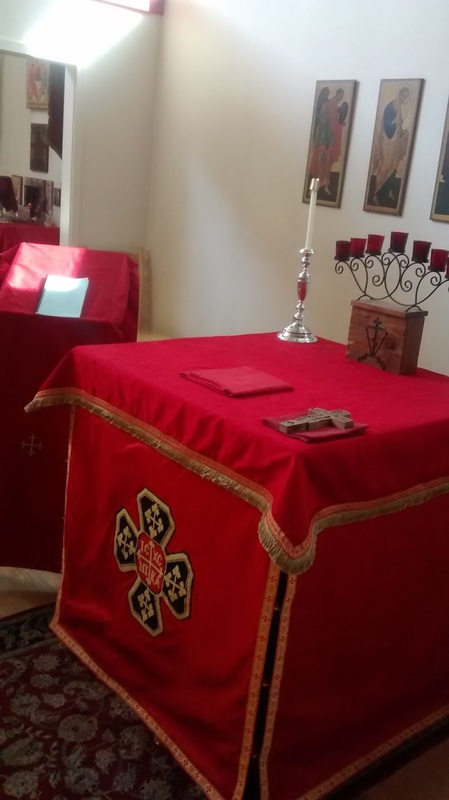 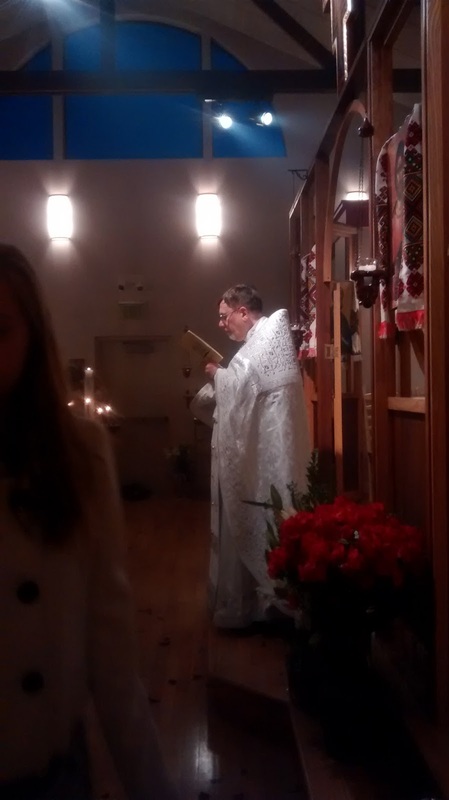 Thanks to Mr Philip Gilbert for sending in pictures and video links to the Holy Week and Easter services celebrated at St Peter’s Eastern Catholic Church in Ukiah, California. The Cross set up in the middle of the church for the Matins of the Twelve Gospels. 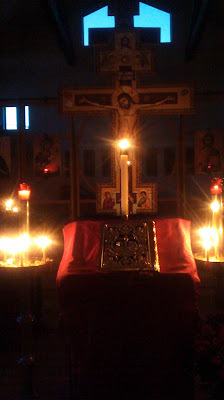 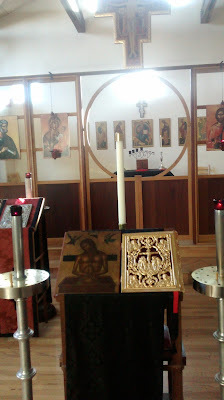 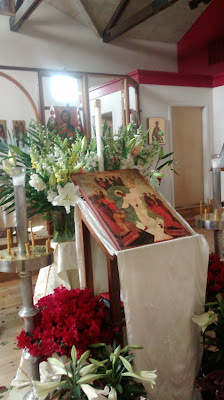 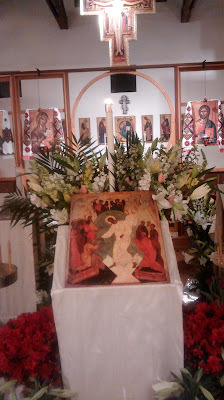 The icon of the Resurrection set in the middle of the church for Easter. 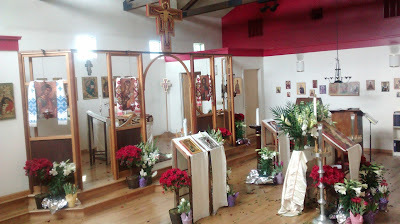 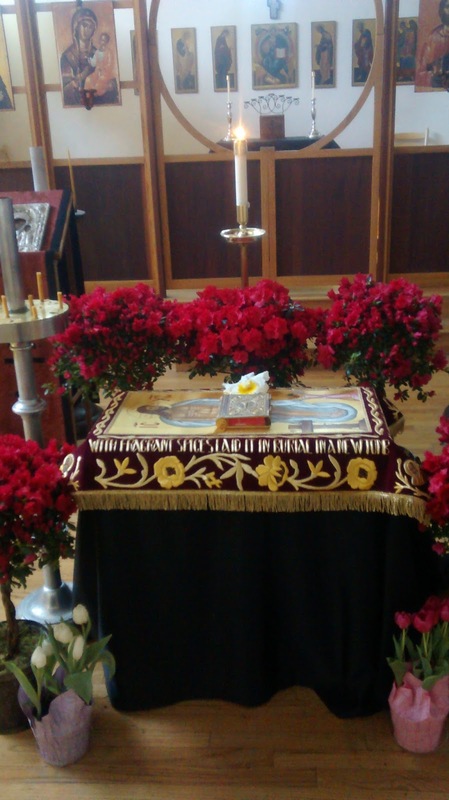 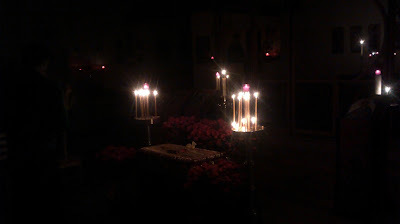 The floor of the church is strewn with laurel leaves on Holy Saturday during the Divine Liturgy. 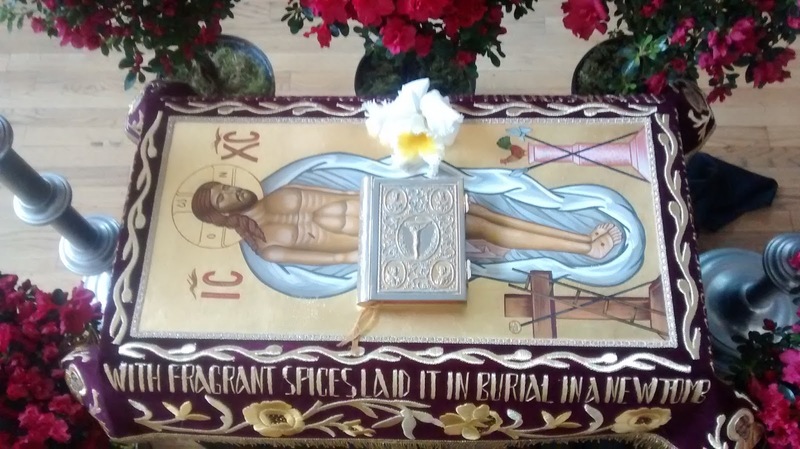 A loaf of sweet bread is also blessed at the liturgy, and after being kept in the church through Easter Week, is shared by the faithful on Bright Saturday or St Thomas Sunday. The Gospel reading of the Divine Liturgy on Easter Sunday, John 1, 1-17, is traditionally done in several languages.